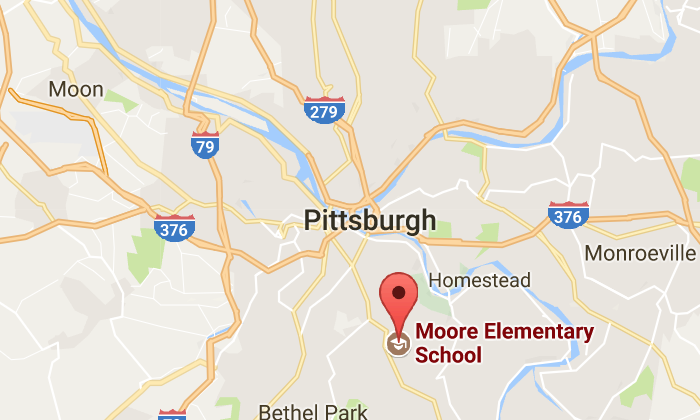 An elementary school in Pittsburgh, Pennsylvania, is investigating a teacher after she posted a Facebook status saying she was going to buy a gun. The post caused some panic among parents with children attending Moore Elementary School, causing nearly a quarter of the 225 students at the K-5 school to miss class. “Today, nearly sixty students were either kept home from school or were picked up early due to a social media communication made by a staff member,” reads a statement the Brentwood School District put out to parents that was obtained by CBS affiliate KDKA. The notice assured parents that the district safety plan was followed and appropriate borough authorities were notified. That included having the director of school police and superintendent at the school for the day keeping the children inside for recess. A planned field trip for kindergarten students went ahead, however, but a school police officer escorted the students and staff. “Our Director of Special Education, who is also a school psychologist, was also onsite all day to assist as needed,” read the notice. The name of the teacher has not been disclosed, nor any details that would indicate the post was something more significant than it appeared on the surface. While parents in Pittsburgh were unsettled by the incident, parents in Colorado may find some assurance in teachers carrying weapons. Earlier this year it was reported that teachers in Colorado were being trained to carry guns in classrooms after a school massacre in 2012. In June,the BBC reported, 17 staff members there had taken a three-day course that included firearms and medical training so they could be considered armed first responders. The pilot program will allow volunteers, who were tested on their weapons abilities at a firing range near Denver, to bring concealed guns into schools under existing concealed carry laws. Colorado was host to one of the first major student school shootings in the United States when Eric Harris and Dylan Klebold murdered 12 students and one teacher at the Columbine High School massacre in 1999. The state’s new program was propelled by the Sandy Hook Elementary School shooting that claimed 20 children and six adults when 20-year-old Adam Lanza opened fire at the school in Newtown, Connecticut, on Dec. 14, 2012.